GSP-1700 Satellite Phone A light and feature-rich mobile satellite phone, the GSP-1700 helps you stay connected virtually anywhere. Imagine being able to connect to the people and data that matter most in the places and times that traditional communications don't always work. The GSP-1700 is the ultimate handheld portable satellite phone. Using the optional GIK-1700 installation kit, you can easily create a complete satellite phone system in your vehicle or vessel from the smallest car to the largest aircraft carrier. Antenna and cable length options were designed for ease of installation on land or sea or simply use the phone hands-free with the optional Bluetooth module or industrial noise-canceling headset. Enjoy crystal-clear voice quality. Whisper and be heard with CDMA digital voice quality. Fast data speeds at 9.6 Kbps. 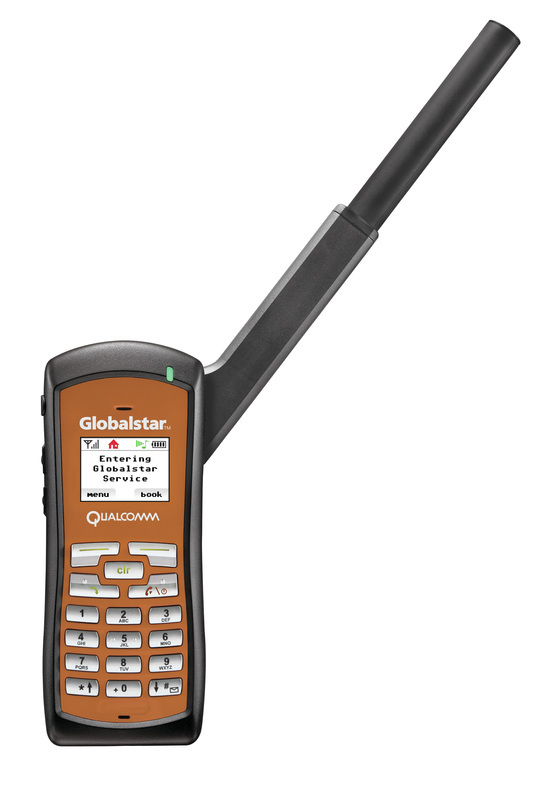 Position Location Service get your Latitude and Longitude directly from your Globalstar phone. Enjoy locally based phone numbers where available.